When you choose to rent a bungalow in Spain, you can be sure that you will have a holiday close to nature without giving up your comfort or your independence. With their architecture inspired by teepees, our canvas and wood bungalows blend harmoniously with the vegetation. Just like the mobile homes and the bare pitches, they occupy plots that are surrounded by olive trees, palm trees and bushes that provide shade. 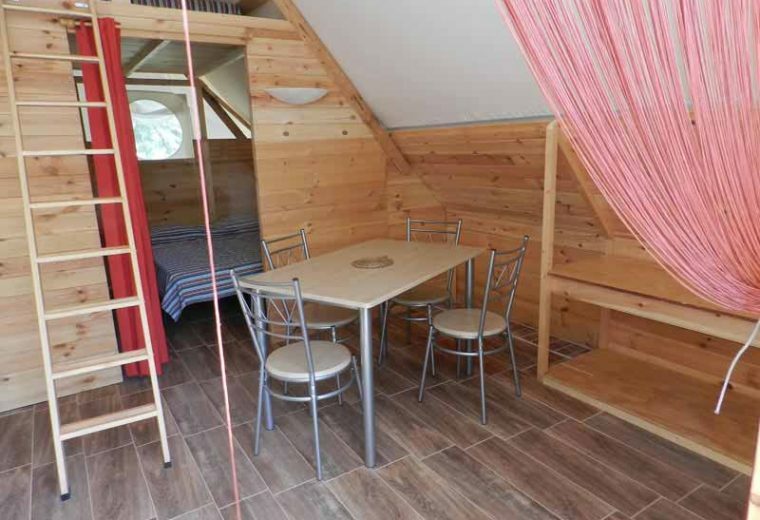 The Ecotipy is ideal for couples with or without children: for a holiday for two, their unusual character is both intimate and romantic; this fun and original form of accommodation is also greatly appreciated by children who love to play at being modern Robinson Crusoes. 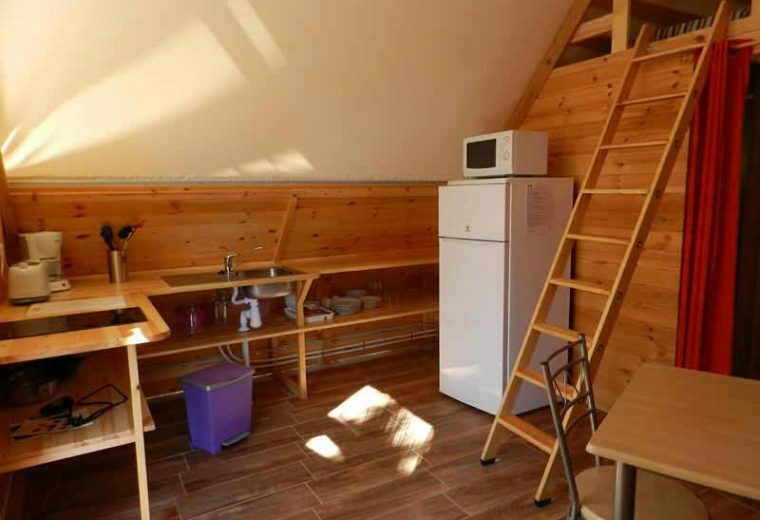 The loft, that resembles a tree-house, is fully secured with wooden reinforcements. 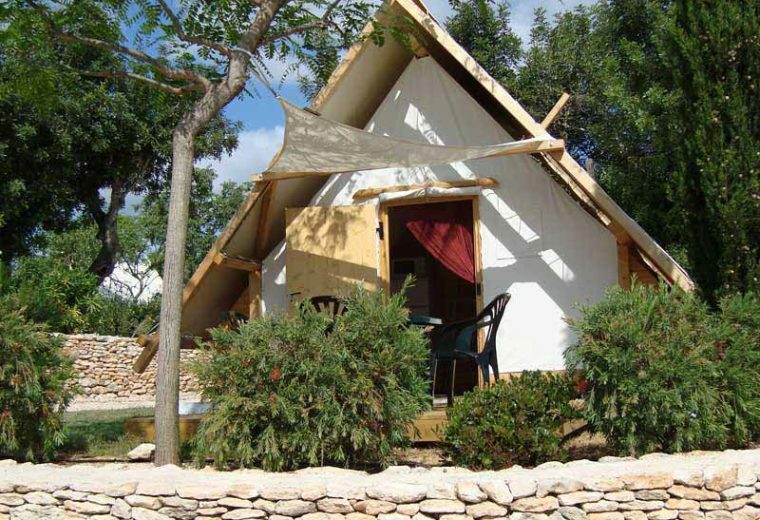 If you are looking for a bungalow to rent in Spain, don’t hesitate to choose the Ecotipy: blending simplicity and comfort, they promise a new way of camping. Intimate and fun, the Ecotipy accommodation is a charming bungalow designed to accommodate up to 4 people. 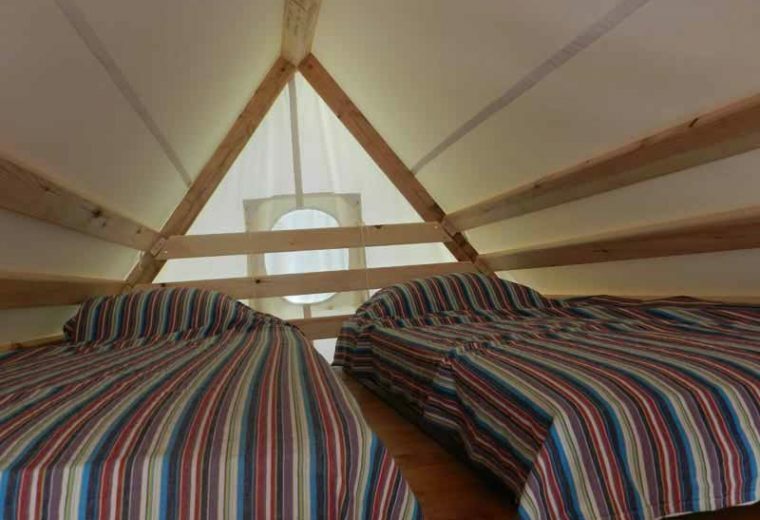 Made of wood and canvas, they have all the features of a camp tent and the comfort of permanent buildings. Our bungalows to rent in Spain have one bedroom with a double bed and a loft with two single beds accessible by a ladder. Fully equipped, they also have a kitchenette: sink, refrigerator, microwave oven, coffee-maker and toaster enable you to prepare all your meals every day. 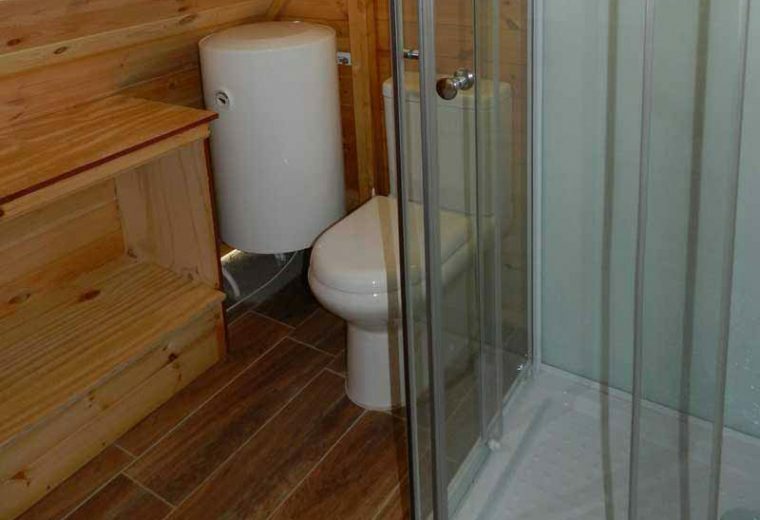 Completely independent, every Ecotipy also has its own bathroom with toilet/WC. A terrace with garden furniture completes the furniture to enable you to have your meals outside. You can savour the local specialties in the Valencia region on the plancha that we have provided for you.